Climate change is very much in the news these days and everyone knows that it is affecting regions like Alaska. But you may also be dealing with changes in the garden of your own home, changes that result from the changing global climate. Read on for information about gardening with climate change. Does Climate Change Affect Gardens? Does climate change affect gardens? It does, and it’s important to learn how to spot climate change in the garden so that you can take action to help your plants adjust. It’s easy to assume that climate change is happening somewhere far away. But the truth is, it’s happening everywhere, even in your garden. The weather changes brought on by climate change are causing disruptions in nature’s norms, even in your backyard. Before you can start dealing with changes in the garden resulting from climate change, you’ve got to learn to identify the issues. But how to spot climate change in the garden? It isn’t easy, since climate change looks different in different regions. As the world climate changes, plants will try to adapt to the new normal. That may mean that plants in warming areas flower early and fall victim to frosts. 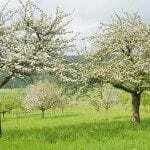 Or plants, like apple trees, that require certain chill hours to fruit, may postpone flowering. It also can signal pollinator issues, since the insects and birds that pollinate a plant’s flowers may arrive at the wrong time. This can be an even greater problem for species that need to cross-pollinate. The blossoming times of the two species may no longer be simultaneous, and the pollinators may not be around. You may also notice other garden climate changes. Like the type and amount of precipitation in your area. Some areas are getting more rain than usual, while others are getting less. In the northeastern section of the United States, for example, gardeners are seeing more rain. And it is falling in short, hard downpours with periods of dry weather in between. This weather pattern change results in runoff of topsoil during rains and compacted soil. That may be followed by short periods of drought. In other parts of the country, less rain is falling, leading states to expect increasing drought. Wherever you are located, you will probably need to start dealing with changes in the garden. 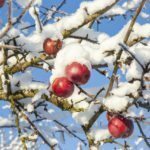 You can’t stop climate change on your own, but you can reduce your own carbon footprint and also help your plants survive under the new weather pattern. First, you can reduce water consumption in your garden. This is very important during hot, dry weather. The keywords here are mulch to hold in the moisture, rain barrels to capture water and drip irrigation to get the water exactly where you need it. Another method to start dealing with changes in the garden is to increase your composting efforts. You can put kitchen and garden detritus in the compost heap. Just composing this waste reduces your carbon pollution, especially potent greenhouse gas methane. In addition, compost can be used in place of chemical fertilizers to enrich your soil. Planting trees is another way to help gardening with climate change. Trees absorb carbon pollution (CO2) from the atmosphere, which is to everyone’s benefit. Shade trees help your home cool in the summers without air conditioners.